Sweetwater Fender fanatics are impressed with the arsenal of tones found in this Strat. Fourth-generation noiseless single-coils give the American Elite the classic Strat sound without the hum and buzz. And for a gutsier tone, the onboard Shawbucker bridge humbucker, created by Fender pickup guru Tim Shaw, delivers vintage-inspired heft and thickness. The American Elite's S-1 switching gives you 10 total pickup options - which include running all three pickups in series - with the push of a button. And when you need a boost, a Passing Lane button near the tone pot connects the Shawbucker directly to the output jack for mind-melting leads. 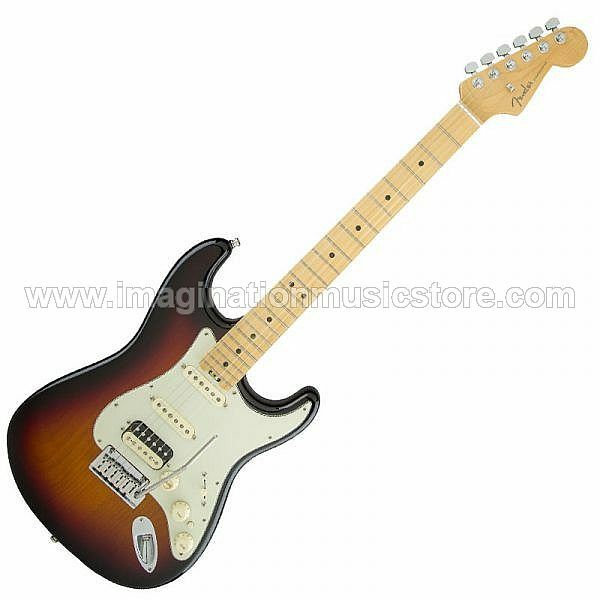 Unlock your playing potential with the Fender American Elite Stratocaster HSS!